Goan Mutton Vindaloo Recipe step by step | Lamb Vindaloo Recipe. 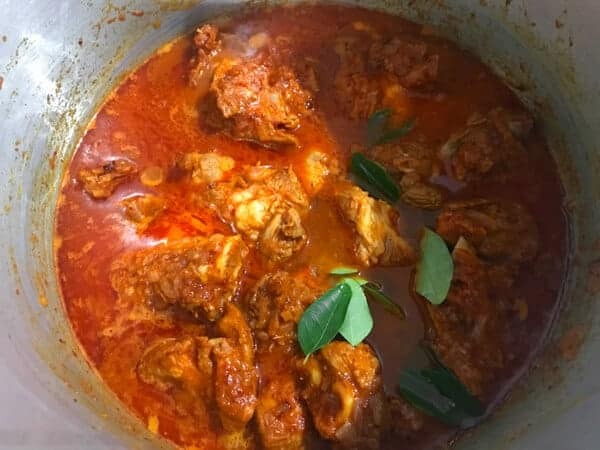 Authentic lamb Vindaloo recipe is a traditional fiery red Goan curry of lamb or goat meat marinated and cooked in chillies, vinegar, garlic and spices. 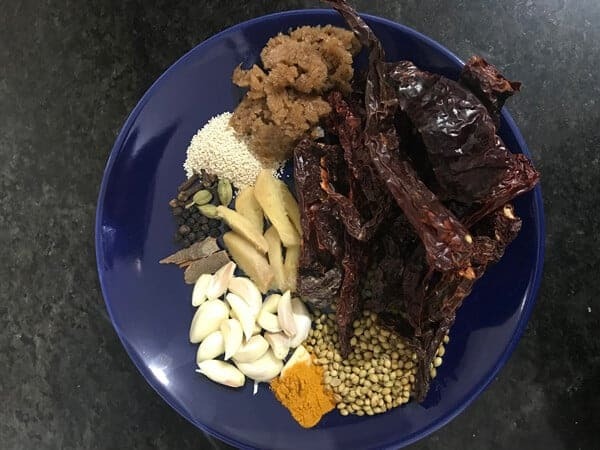 To make this Goan vindaloo recipe, first, we need to make the vindaloo masala paste, then marinate the lamb or mutton and then cook it in a pot or pressure cooker to make it a curry. Serve this luscious red Goan mutton vindaloo curry with steamed rice or pav (bun) or crusty bread for dinner and see the magic. Here is how to make best lamb vindaloo recipe. What is in lamb vindaloo? 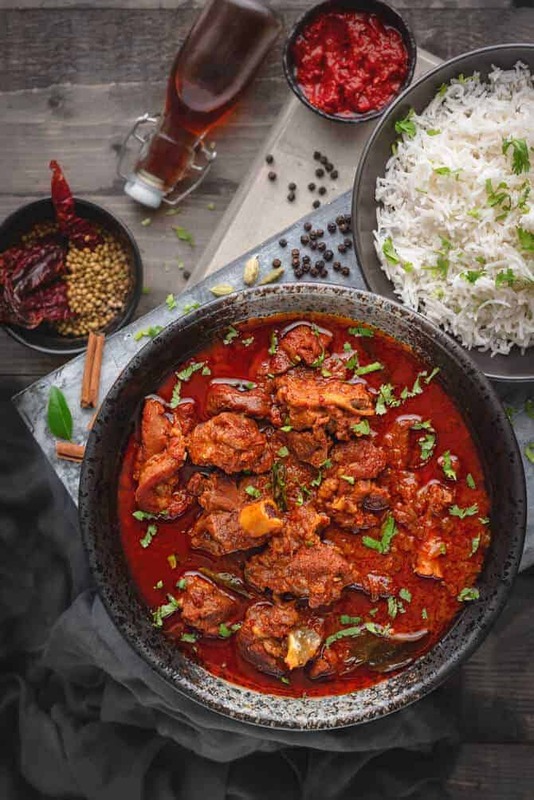 Vindaloo which is a Portuguese recipe basically means “meat in wine, vinegar and garlic”, is now a popular traditional Goan recipe. In Portuguese, the dish name goes as Carne de vinha a’alhos, where meat, usually pork was marinated in wine and garlic. The Anglo-Indian version of it is to marinate the meat in vineger, chillies, ginger garlic and sugar, followed by spices. The belief that as the word vindaloo has “aloo” in it, so the dish calls for addition of aloo or potatoes, actually, this term is misunderstood here. The vindaloo recipe do not require any potatoes or aloo to be in it. Traditionally, the Goan vindaloo recipe is made with Pork using the curry paste, but you will find many variations to the dish nowadays. The variation goes with mutton, lamb, beef, chicken and prawns. So, the ones who do not eat pork can definitely savour the dish as a chicken or lamb, beef or goat vindaloo. As we do not eat pork, we opt for the other meat variation of the dish. The dish includes, basically a wine across the borders but in Goa people usually use feni along with the sugarcane vinegar and spices. But if sugarcane vinegar is not available with you, then malt vinegar or cider vinegar works very well to the dish. I have not used feni or wine in this lamb vindaloo recipe. 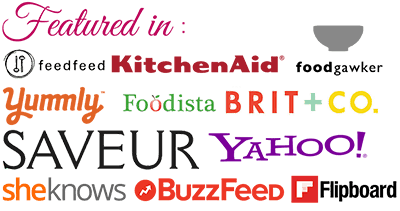 Is the lamb vindaloo recipe dairy free and gluten free? Indeed yes, this mutton vindaloo recipe is dairy free. Also, this Goan mutton curry do not make use of any flour, hence, it is absolutely gluten free. 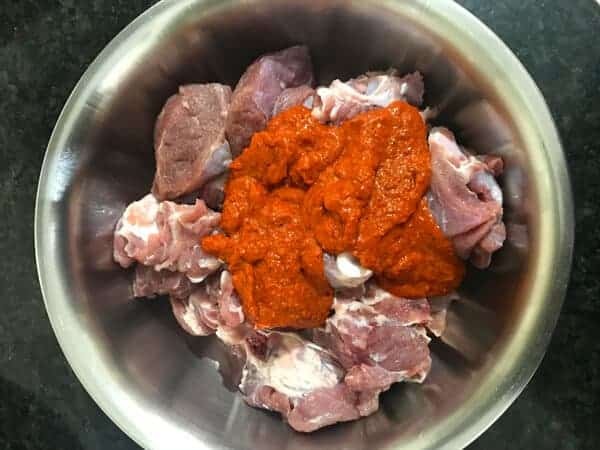 The Mutton vindaloo recipe includes few key ingredients. As I am making it with mutton, we need good quality mutton on bone. Then we need vinegar, garlic, ginger and tamarind pulp, chopped onions as the wet ingredients. The dry ingredients that goes in are, coriander seeds, cumin seeds, cinnamon sticks, poppy seeds, cloves, green cardamom, black peppercorns , turmeric powder, sugar or jaggery. The another most important ingredient that goes in masala is dried red chillies. 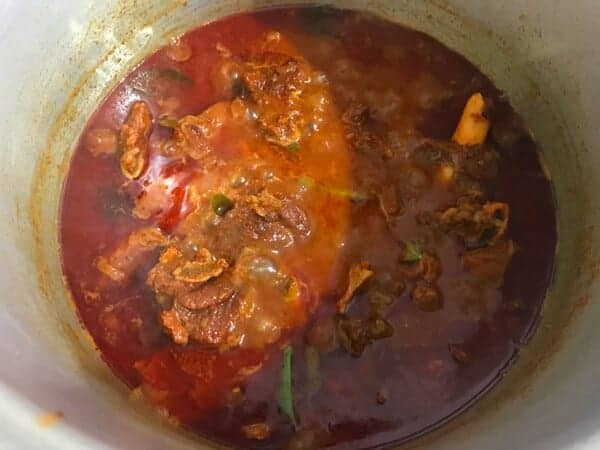 Then, the other ingredient we need for goan mutton curry, is curry leaves, which is totally optional, but addition of it gives fine coastal Goan kick to the lamb vindaloo recipe. Some people do add it to the recipe and some dont. If you see below in steps, I haven’t soaked chillies in vinegar. The reason being, I forgot to soak it in vinegar and had very less time left to make the curry. Usually I do soak the chillies and make the recipe. So,skipped that step of soaking chilies and added the vinegar while grinding the masala. But, I would strongly suggest you to soak the chillies in vinegar and proceed. Secondly, do not forget to marinate the mutton overnight to develop that traditional Goan flavour. If, in case you have crunch of time, then at least marinate the meat for 2 hours. Follow the steps and enjoy this typical Goan home like lamb vindaloo recipe at your table. What to serve Goan Mutton Vindaloo with? 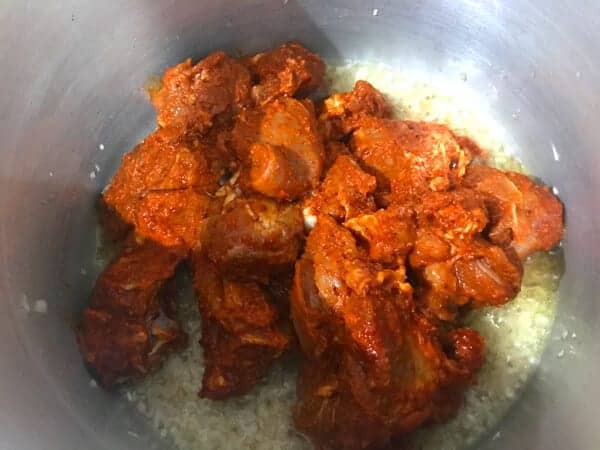 Truly speaking, mutton vindaloo recipe or any variation of it goes best with steamed rice, jeera rice or pav (buns) or dinner rolls or any crusty bread. 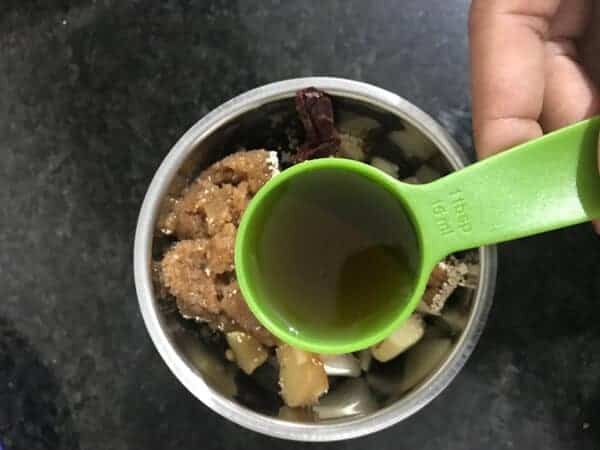 Personally, I dont it with phulkas or chapathi, but if you want you can pair with it. Lamb vindaloo recipe also taste best with appam, and even with neer dosa. 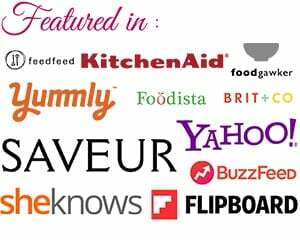 Can we make lamb vindaloo recipe in a slow cooker or an instant Pot? Lamb Vindaloo recipe is a red fiery Goan mutton curry of marinated meat cooked in curry paste and spices. Serve this traditional Vindaloo curry with hot steamed rice or pav (dinner rolls or any crusty bread. 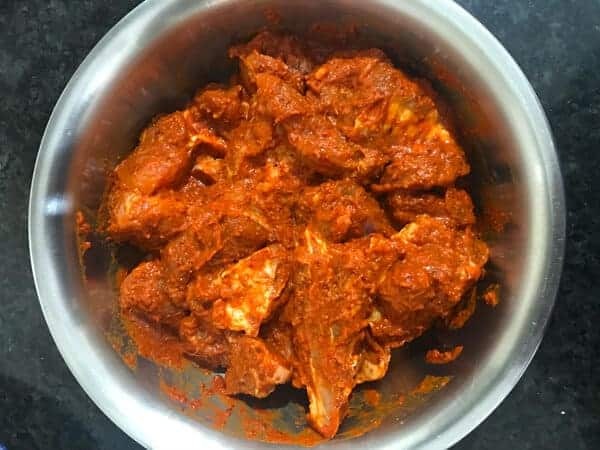 here is how to make authentic Goan mutton vindaloo recipe at home. To begin with, gather all the dry ingredients that we need to make vindaloo paste. Then, add them into a blender along with the malt vinegar or cider vinegar. Authentic recipe calls for organic sugarcane vinegar and it tastes best. But, if the sugarcane vinegar is not available then go ahead with malt or cider vinegar. Now, grind together all the ingredients to a smooth paste. Then, in a bowl, add mutton and vindaloo masala paste along with the salt, sugar or jaggery, I have used sugar here. After that, marinate the mix the mutton well with vindaloo paste and allow it to marinate for overnight. However, if there is a time crunch, then marinate atleast for 2 hours. Then, add the marinated mutton and sauté it on high heat for 8 to 10 mins. Keep stirring it in between. Once the mutton is sautéed well, add 2 cups of water and curry leaves. Mix well. Check for the seasoning and salt and adjust it as per the requirement. If using a pressure cooker, cook until the meat is done done. If using a pan, then allow it to simmer and will take around 1 to around 1 to 1 and half hour You can adjust the consistency of the gravy as preferred. Once cooked, dish out and garnish with green coriander and serve hot with steamed rice. You can make this mutton vindaloo recipe in an instant pot or a slow cooker also. 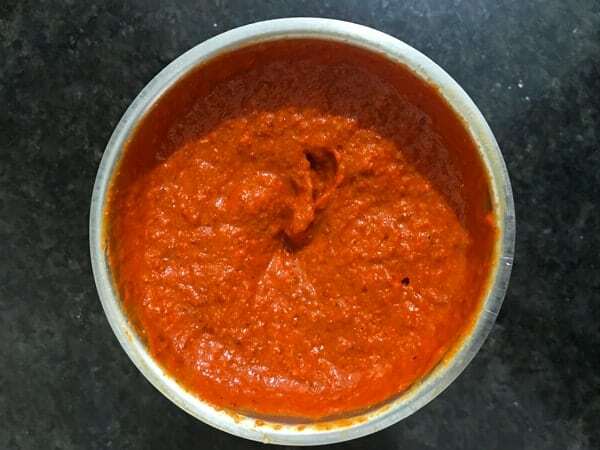 Vindaloo masala paste can be made in bulk and store. Please refer to post on how to make masala paste and store it. To begin with, gather all the dry ingredients we need to make the paste. Now, grind together all the ingredients to a smooth paste. So, vindaloo masala paste is ready. Then, in a bowl, add mutton and prepared paste along with the salt, sugar or jaggery, I have used sugar here. After that, marinate the mix the mutton well with the paste and allow it to marinate for overnight. However, if there is a time crunch, then marinate atleast for 2 hours. Once the mutton is sautéed well, add 2 cups of water and curry leaves. Mix well. Addition of curry leaves to mutton vindaloo recipe is totally optional, you can skip it if you wish to. Check for the seasoning and salt and adjust it as per the requirement. If using a pressure cooker, cook until the meat is done done. If using a pan, then allow it to simmer and will take around 1 to around 1 to 1 and half hour You can adjust the consistency of the lamb vindaloo recipe as preferred. Once cooked, dish out lamb vindaloo and garnish with green coriander and serve hot with steamed rice. This looks delicious, I plan to make it soon. 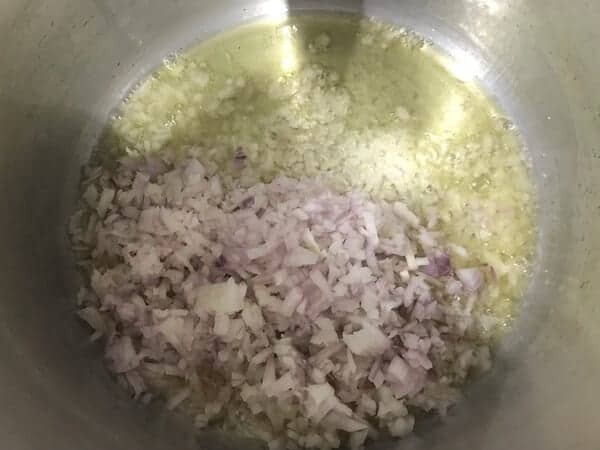 Regarding the chopped onions, do they get blended with the paste ingredients, or added afterwards with the meat and marinade?